Lot of 25 BCW Pro 2-Pocket Envelope Pages. Hand counted from new stock - no retail packaging included. 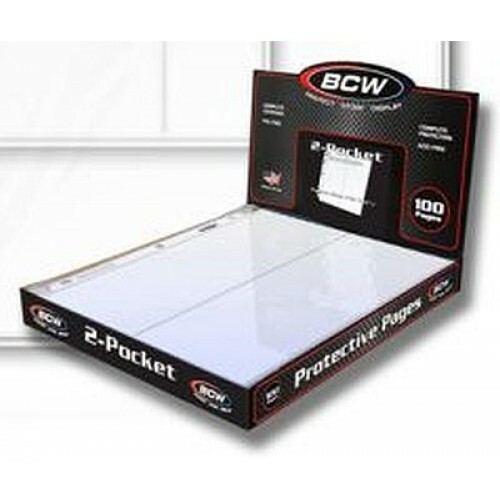 The BCW Pro 2-Pocket 4x10 page is an acid free archival quality product that is perfect for storing First Day Covers and Envelopes and can be used in the office or for stamp collecting. This product features high clarity and top loading pockets with strong welds. BCW Pro 2-Pocket 4x10 pages fit all standard 3-ring binders and albums. Use the 2-pocket page to protect store and display your covers and envelopes. Do you have any questions about Lot of 25 BCW Pro 2 Pocket 4 x 10 Envelope Album Pages?